check your horoscope! chat with the pros! look up emergency numbers! chat with your communities! find a property! find the right contact! check out what’s on at the cinema! work your network! follow bloggers! explore Luxembourg! look up duty pharmacies! check the weather! get inspiration! find a job! get advice from bloggers! prospect effectively! find out about the market! check traffic info! make doctors’ appointments! find a car park! follow the pros! recommend pros! book a table! get good advice! enjoy savings all year-round! give your opinion! Many of you think that doing your electrical work yourself will save you time and money. It is a received idea! Indeed, we do not improvise electrician overnight. This is a dangerous and complex area that requires specific know-how and skills that we do not necessarily control. So, to avoid accidents or other nasty surprises, it is recommended to call a professional. We explain to you the most advantageous reasons. To speak to a professional is above all a guarantee of quality. 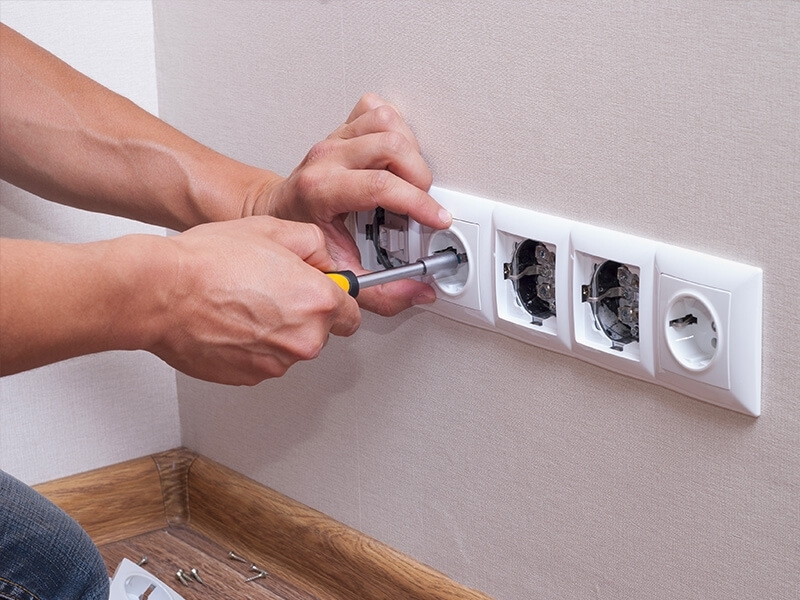 As a recognized expert, the electrician is best able to take care of your work and the electrical systems in your home . It will determine the source of a fault, and will perform repairs efficiently, accurately and quickly. This will save you time, especially if it comes to bring your electrical system up to standard. Some faults are not limited to changing the fuse or restarting the main circuit breaker: they can also touch the panel or the electrical installation more deeply. So, to identify where the problem lies and how to fix it , only a professional can make a reliable, accurate and complete diagnosis. He is the only one with the necessary skills to intervene safely and according to the standards in force. You do not necessarily realize it but a power failure can occur from a defective device or several used at the same time, which can cause a surge and cause a general failure. It will then be difficult for you to determine which device is involved. The intervention of an electrician is therefore recommended because it is the only one that can perform tests to determine the source of the problem. On the other hand, it will bring you all the tips for using your electrical devices . He will also be able to explain the operation of your electrical circuit and to direct you to the good practices to be adopted at the maintenance level. Electricity remains a complex area, and can be dangerous if you do not have the necessary skills. Even if you have some knowledge of it, it should not be taken lightly. Keep in mind that an accident happened quickly. It is therefore preferable, first and foremost for safety reasons, to turn to an electrician . As a true professional, he is the only one to know and be able to evaluate the risks of fire or electrocution, for example. He will know better than anyone to take all the necessary precautions and to avoid any accident, not only at the time of the works, but also afterwards. It is, therefore, a guarantee of undeniable security, and will allow you to be more serene during the execution of the work. This is actually the first thing to do because the electrical work should not be taken lightly. It is therefore recommended to choose the right expert. With a recognized professionalism, he must master the electrical standards in force, and respect the safety rules . To check its seriousness, do not hesitate to ask for a full quote, specifying all the information on the price, the time of intervention, the duration of the work, or the terms of payment. Indeed, a vague estimate and established quickly can testify to the lack of seriousness of the electrician. Also check for professional liability, and ask for a certificate of insurance. This will prevent you from unpleasant surprises.